Viber has rolled out a notable upgrade across its Android and iOS apps today that brings new features to the messaging app. Viber’s head of product, Ofir Eyal, says that most of the changes have been implemented based on feedback received from users, so the additions should (in theory) be ones users have been waiting for. Among the main changes are a redesigned interface for video calls, with more options to trigger a new call from various places in the app, thereby making it a little easier to navigate. It also improves the quality of both video and voice while keeping data use down to a minimum, the company says – it requires only 84KB/minute to make an audio call on a 2G connection. This will be important to a large proportion of Viber’s users in markets where high-speed broadband and mobile data can’t be relied upon. You can now also share contacts from your handset as a Viber message and drop URLs into a chat to create a message bubble with a little image preview of the linked site that is being shared. Rounding off the changes, Viber has added animated stickers for the first time, including packs from Disney’s ‘Inside Out’ alongside its own characters. 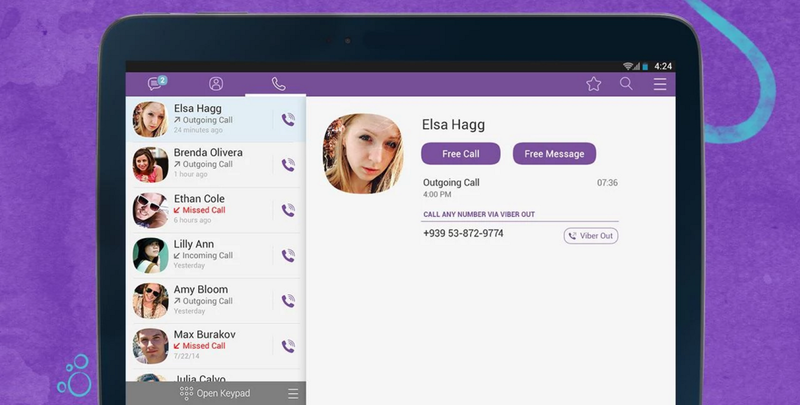 There are a number of smaller tweaks for the tablet versions of Viber too. The iPad version now supports simultaneous sync across iPhone, iPad and Mac and the Android tablet app has a redesigned call screen. Even the desktop apps got a minor update to add suport for Viber Public Chats and a few other bits and pieces.